Dewayne Johnson, the former groundskeeper who sued Monsanto alleging that Monsanto’s popular weed killer Roundup gave him cancer, won his landmark and potentially precedent-setting case against the company and was awarded $289 million in damages by a jury in San Francisco. Over the course of the trial, Johnson’s lawyers argued that Monsanto targeted scientists who linked Roundup to increased risk of cancer and worked to “bully” scientists and suppress evidence related to the health risks associated with its popular herbicide. Monsanto said it would appeal the verdict. The Justice Department is arguing that Judge Richard Leon, who approved the AT&T-Time Warner merger in June, made “fundamental errors of economic logic and reasoning” when he ruled against the DOJ’s attempt to block the deal, report CNN’s Hadas Gold and the Wall Street Journal. Tribune Media has terminated its $3.9 billion sale to Sinclair Broadcast Group and is now suing Sinclair for breach of contract, alleging that Sinclair “engaged in unnecessarily aggressive and protracted negotiations” with the FCC and Department of Justice and refused to sell stations in certain markets. The end to the Sinclair-Tribune deal comes less than a month after a stunning reversal by FCC chairman Ajit Pai (long seen as favorable to Sinclair and still investigated for his ties to the company), who earlier this month cited “serious concerns” about the deal and sent it to an administrative judge, dooming its prospects. Public banks, writes Sarah Jones in The New Republic, “are suddenly popular.” Case in point: in November, voters in Los Angeles will vote in a referendum on whether the city should be allowed to create a public bank, the first such referendum on public banking since the financial crisis, according to Huff Post. Elon Musk’s cryptic declaration that he is “considering taking Tesla private at $420. Funding secured” earlier this week has dumbfounded investors, journalists, and regulators this week. As the media, the stock market and, reportedly, Tesla’s own board, are scratching their heads wondering how Musk plans to fund the $80 billion ordeal which would be the world’s largest corporate buyout (especially since earlier negotiations with SoftBank already fell through), the SEC is reportedly investigating whether Musk violated securities laws and whether he was speaking the truth when he made that tweet. Meanwhile, Fortune’s Jen Wieczner writes that Musk’s habit of blocking people on Twitter—journalists, critics, investors, and short-sellers—may itself be illegal. “We need a new model for tech journalism,” argues James Ball in a Columbia Journalism Review piece in which he criticizes tech journalism as it has been practiced in the US for the past few decades for being too cozy with tech companies and glossing over their flaws. 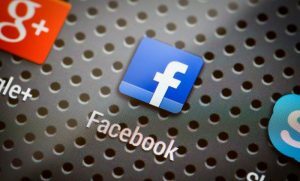 “It’s easy to see why some readers would feel whiplashed by the current, critical coverage of Facebook and Google, which seems to come out of nowhere. That’s our fault as journalists,” he writes. Also from the Washington Post: the growing urban-rural divide in global politics. Oxford Blavatnik School’s Global Economic Governance Programme has released a Call for Papers for its Political Economy of Finance conference for young researchers, slated for October 12 and 13, 2018. The deadline for submissions is September 15, and travel stipends are available thanks to support by ESRC and INET. Register interest here. In the second part of their special 3-part series on antitrust law, Capitalisn’t hosts Kate Waldock and Luigi Zingales talk with Lina Khan of the Open Markets Institute, author of the article “Amazon’s Antitrust Paradox” and a member of the New Brandeis Movement, which believes that antitrust enforcement should be more broadly applied and not just rely on consumer welfare.